I was reminded this week of the importance of adult relationships in young people’s development and the difference we can make by offering understanding, kindness, and acceptance. This is easy to take for granted because of all of the pressure to focus on content and academic/non-academic skills. I was reminded of this due to an interview between Terry Gross (NPR) and Ryan Speedo Green. Mr. Green was a violent and troubled youth at an early age. Due to the kindness and acceptance of an elementary school teacher, he is now a singer with New York’s Metropolitan Opera. You too can be inspired - have a listen. 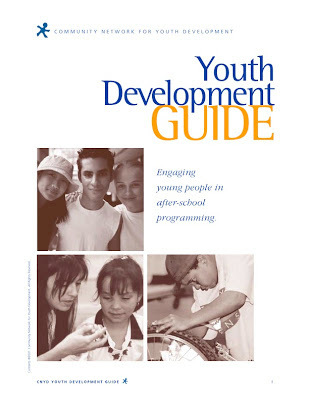 I was also reminded of a chapter in the CNYD Youth Development Guide that focuses on relationship building. You can read this chapter by clicking here. Within this chapter is a staff exercise entitled “Cookie Lady” (page 20 of the PDF). This exercise asks adults to think back to a certain age and identify the adults that were very important to them. One participant identified the lady in the cafeteria that passed out cookies - hence the name “Cookie Lady”. There are two important events coming up that are important for the afterschool community. We urge all afterschool leaders to consider their participation, see below. Two weeks to Character Day! Afterschool and summer youth programs are perfectly positioned to promote their development of important character traits. In fact, many programs do this intentionally as part of their stated mission. We encourage afterschool and summer programs to join over 50,000 events happening around the globe. The hunger for this conversation is incredible! If you are still looking for ideas for your event (whether you have 15 mins, an hour, or a whole day devoted to Character Day), check out Let It Ripple's website, where you can find suggestions for activities, discussion kits, other free materials, and videos for all ages. Get Involved! We encourage all afterschool programs to participate in the 17th annual Lights On Afterschool! celebration. This is an important day, sponsored by the Afterschool Alliance, in which thousands of programs make the case for the continued support of afterschool programs for youth. You can find events, gather ideas, and register for Lights On Afterschool and help showcase the benefits of afterschool programs and their need for support. Last year, more than 1 million Americans celebrated Lights On Afterschool at more than 8,000 events. Thousands of news outlets shared stories of diverse programs around the country. We know partners like you made this happen. We can’t wait to see what programs across the country have in store for Lights On Afterschool 2016!